This month we’ve teamed up with heating expert, Dimplex, to offer one lucky winner a stylish Fortrose Opti-myst® Electric Stove worth nearly £770! Dimplex’s Opti-myst® range of electric fires are the ideal solution for a safe, family friendly fire that can be simply plugged in to create an instant fireplace. Using unique state-of-the-art, patented technology Opti-myst is the world’s most realistic 3D electric flame and smoke effect and can be adjusted from ‘roaring’ flames to gentle embers. 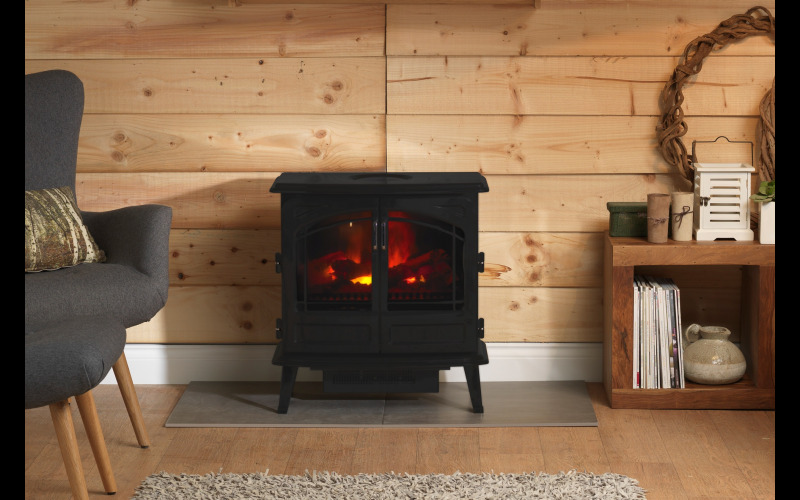 The Fortrose is a stunning large cast iron style stove, featuring a classic design and two opening doors. Its stylish graphite and metal flecked finish blends with any interior from county homes to urban dwellings.